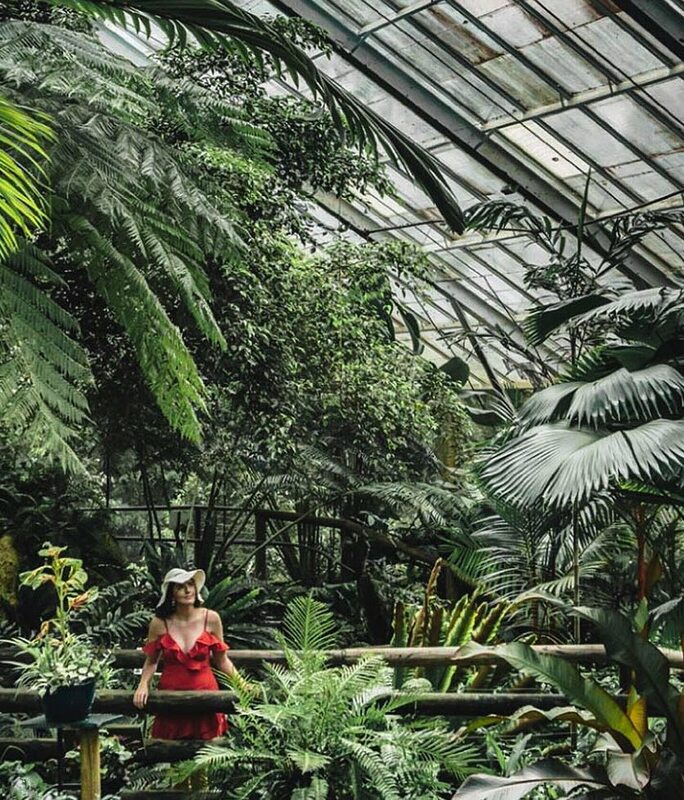 Australian Butterfly Sanctuary is considered the largest butterfly flight aviary and exhibit on the continent. This detailed guide will tell you all there is to know about this magical place. Location, history and opening hours. 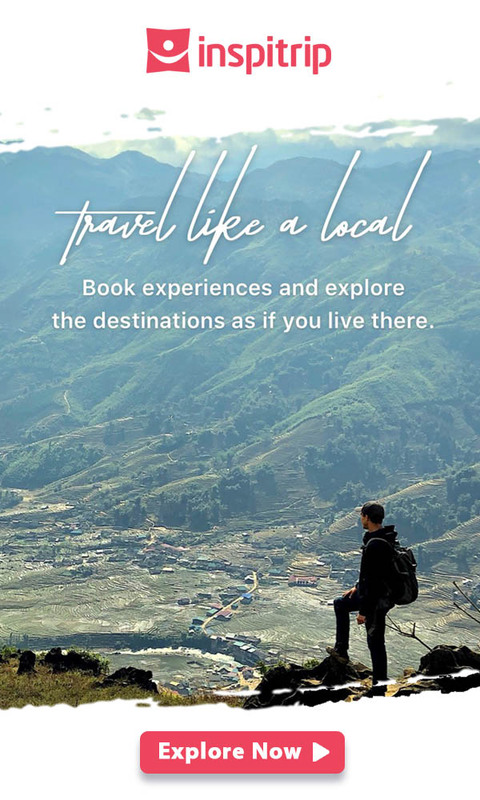 How about price ranges, tours and attractions? Stunning, splendid, exquisite, beguiling, and glamorous. These are just a few words that can describe the wonderful and delicate beauty of butterflies. Few of us can keep ourselves from succumbing to the charms of elegant and colorful wings fluttering next to brilliantly-colored flowers. But alas, those divine creatures have become more and more elusive as green spaces are increasingly claimed by urban jungle. 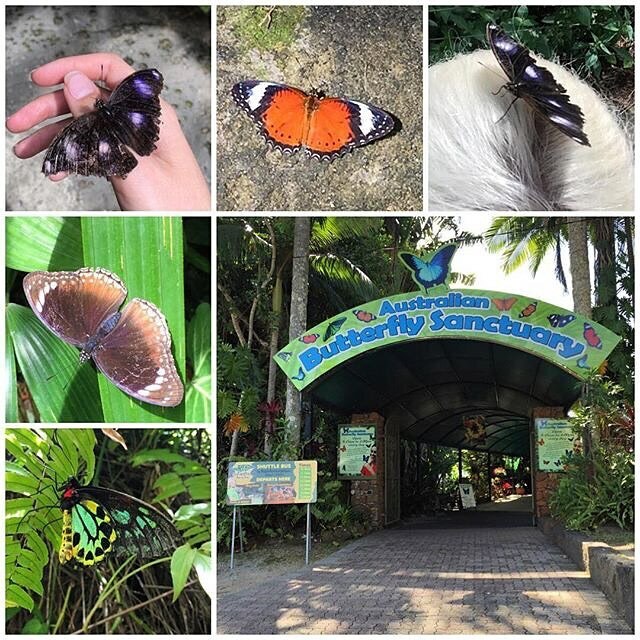 There are still many places left on this Earth where you can find the winged flower lovers in large number and be dazzled by their beauty even more, and one of them is the Australian Butterfly Sanctuary located in the center of Kuranda, Queensland, Australia. 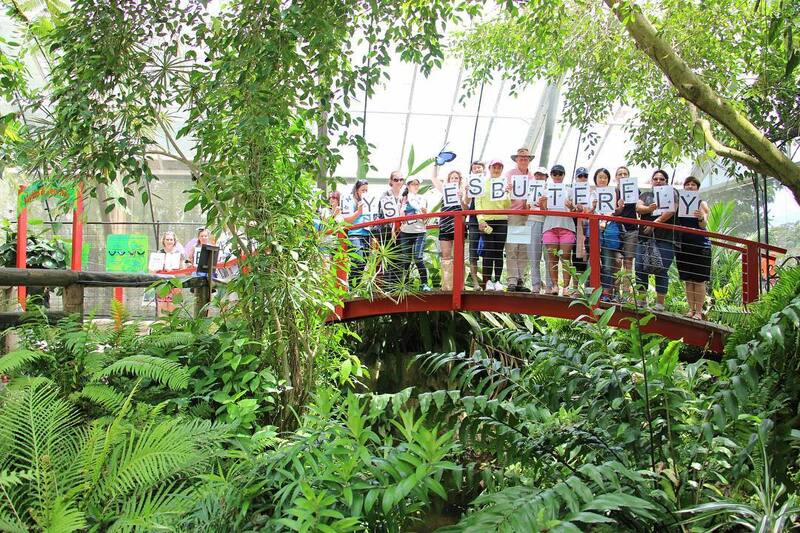 The Australian Butterfly Sanctuary is located at 8 Rob Veivers Drive in Kuranda Village. Situated just an hour from Cairns City and yet surrounded the lush tropical rainforests, the sanctuary is pleasant to visit and easy to access. It is the brainchild of Paul and Susan Wright, who were madly in love with butterflies. Their beautiful sanctuary was long in the making and finally broke out of its cocoon to be open to the public in 1987. Since then, millions of visitors have visited this magnificent site. It is now run by the CaPTA Group. Only native butterflies of Australia are bred on the premises, especially species from North Queensland. Now, over 2,000 varieties of colorful butterflies flutter around there. The sanctuary is open from 9:45am to 4:00pm, 364 days of the year (only being closed on Christmas Day). However, it is occasionally closed for a short period of time due to maintenance or conservation purposes. The basic pricing option is AU$ 20 per adult and AU$ 10 per child, covering entry with guided tour of the aviary and laboratory. To visit nearby parks also operated by the CaPTA Group, you can pick advanced options. It is important to book in advance for groups of more than nine people. 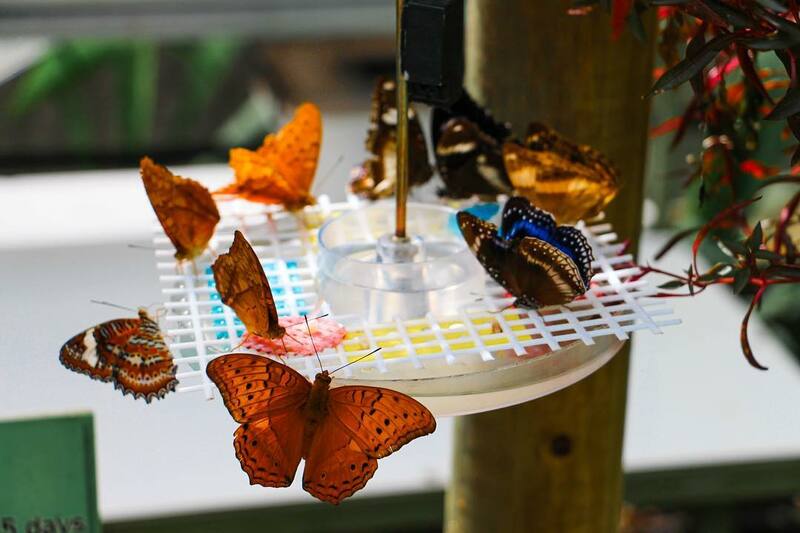 The main activity is a 30-minute tour through the aviary and laboratory with guides explaining a butterfly’s life cycle and behavior along the way. After the tour, you can just go sightseeing around the sanctuary or visit other interesting places like the museum, silkmoth display, egg-laying areas, etc. The main aviary is the pinnacle of the whole sanctuary. Besides the presence of many thousands of butterflies, this place can leave you in awe with breath-taking woodland scenery. It has dense rainforest canopy shading over countless exotic plants and flowers, complemented by running freshwater streams and spectacular waterfalls, the tropical liveliness and majesty is complete. It is just wonderful that a lot of effort has gone into making the aviary suitable for butterflies. Since they are delicate and fragile creatures, their habitat must be just right. The next highlight is the laboratory where you will have a golden opportunity to view first-hand how butterflies are bred. The laboratory personnel will show you caterpillars in different stages of development, and how the ugliest creature can metamorphose into the most enchanting one. The staff are also ready to give interesting facts about butterflies, like why they should be left alone when undergoing their transformation into butterflies. When the guided tour is over, you can visit other exciting facilities. The Butterfly Myths & Legends display is such a place. Here, you will learn about the extent to which those delicate winged creatures influence folklore around the world. At the museum, another attraction, it would be awesome to explore the 584 different butterfly and moth species from all known continents (except for Antarctica), but if you are wondering if butterflies see like us, don’t hesitate to go to the UV Light Display. You will be able see what a butterfly can see, an amazing experience because butterflies can see in the ultraviolet spectrum. All species of butterflies raised there are rainforest ones native to the region. The most imposing of them is perhaps the Hercules Moth, the largest moth in the world. It has an average wingspan of 27 centimeters and, despite its ability to stay in the cocoon for up to two years, lives only 2-8 days. Watching those giants emerge from the cocoons is always an exciting moment. 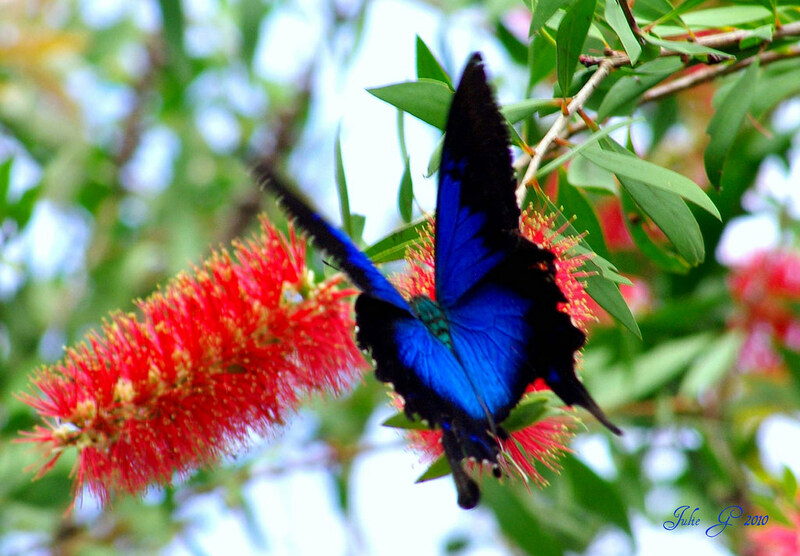 Another interesting variety is the electric blue Ulysses butterfly. Named after the legendary Greek hero, it is extremely famous in the park and used as the unofficial emblem of Tropical North Queensland. The last ruler of the Kuranda butterfly kingdom is the dazzling Cairns birdwing butterfly. As suggested by the name, it can only be found in the region around Cairns, and is Australia’s largest endemic butterfly species. Once you arrive at the sanctuary, you will have a chance to consult the educational exhibits to learn more about their habitats and behavior. 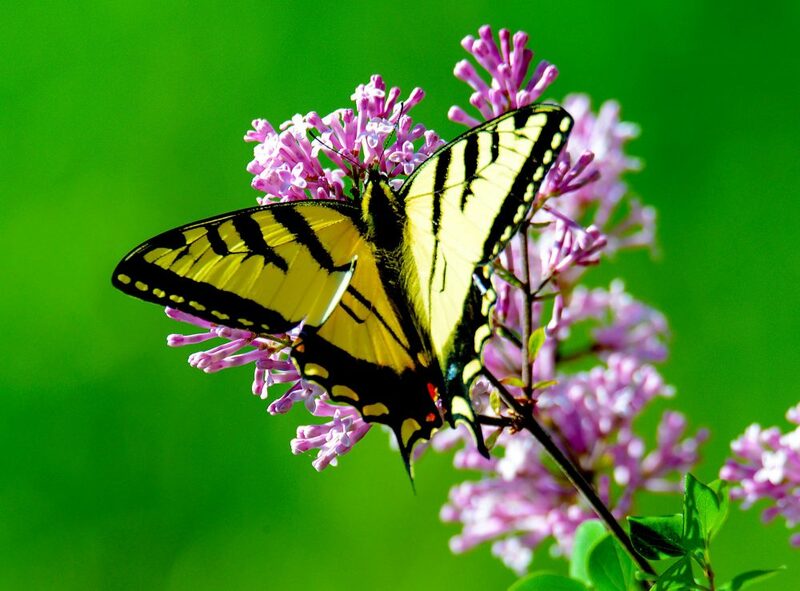 Wearing bright-colored clothing increases your chances of having butterflies land on you. Those creatures are particularly attracted to the colors that flowers tend to have in the nature, such as red, white and pink. So don’t forget to dress accordingly! Besides, the tropical climate makes it quite hot and humid inside the sanctuary so you should drink a lot of water during your visit. (Bottled water can be bought at the gift shops). Moreover, don’t be afraid to schedule a trip to the sanctuary in the rainy season as this place is an all-weather attraction. One more thing, eating and drinking are not allowed in the aviary because food or sugary beverages can attract butterfly predators. It is certainly wrong to give big, bad ants a chance to harm beautiful butterflies! After your memorable visit to the butterfly kingdom, why don’t you try out other tourist attractions that are conveniently situated close by? You can catch a shuttle bus to visit the impressive Rainforestation Nature Park. Historically a coffee and orange plantation, the park has expanded substantially to include a World Heritage-listed rainforest with rich biodiversity and indigenous Aboriginal villages. A trip to this place will give you fascinating insights into native Australian wildlife as well as indigenous cultures. (Observing baby wallabies and wombats or being instructed to throw a boomerang by a native teacher is a must). Then head to Kuranda Rainforest Markets that are only a short walk away from the sanctuary. A series of markets built in the middle of ancient rainforest, this place allows you to have a pleasant eco-tourism experience as well as purchase unique souvenirs. There are numerous items to make a fuss of, like Aboriginal crafts, world-class opals, handmade leatherwork, wooden toys and gemstones. They are sold by friendly stall owners who would love to have a chat and tell you interesting tales about the history of the land. It would be hard to leave empty-handed. For a more active experience, you can travel on the Kuranda Scenic Railway that runs through vibrant cities, pristine rainforest, majestic mountain ranges and fertile plateau. The beautiful landscape and bustling Australian life would be yours to enjoy.